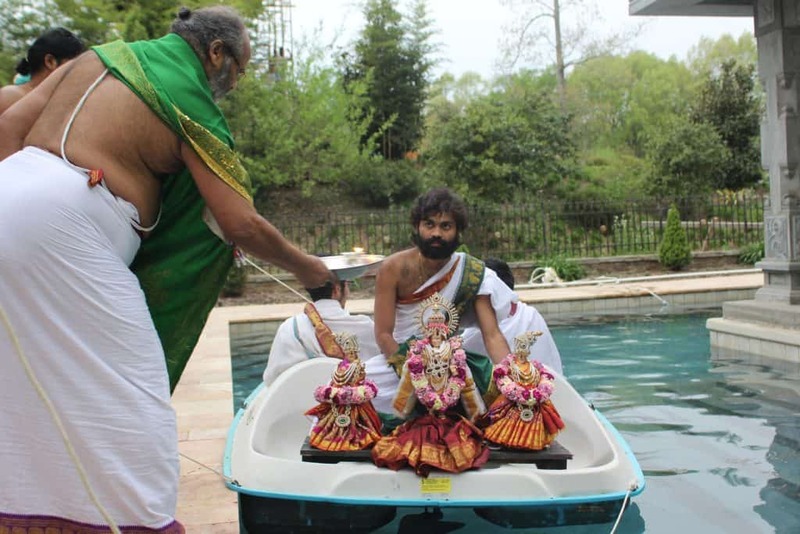 Vasantotsavam is an annual seva to celebrate the arrival of the Spring season. Vasantotsavam is the combination of two words – “Vasantha” (Spring season in Sanskrit) and “Utsavam” (Festival in Sanskrit). This event welcomes the spring season in the Mid-South. On the final evening, the Lord is offered worship and taken out along with his consorts for a celestial ride on a finely decked boat in the Pushkarini. This ritual is called Teppotsavam.